Another person has died in Santa Clara County due to the flu, bringing the total number of flu-related deaths countywide to five since the flu season began back in October, the county's Public Health Department said Wednesday. The decedent, who was under 65 years old, had not been vaccinated, according to health department officials. The department said this year, there has already been a sharp increase in patients who have been diagnosed with the flu. During the first week of December, only five patients countywide were diagnosed with the flu. However, between Jan. 1 and Jan. 7, 40 people in the county have been diagnosed with the flu. The department advises everyone six months and older to get vaccinated every year, especially pregnant women, children younger than 5, adults older than 65 and those with chronic medical conditions. 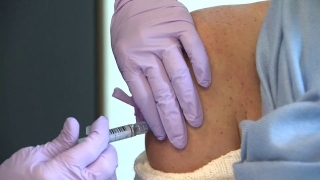 "The influenza vaccination is the best way to protect your family from complications of influenza," Santa Clara County Assistant Health Officer Dr. George Han said in a statement. "It's not too late to get vaccinated. Even if the vaccine does not prevent you from getting the flu, it will make it less likely for you to be seriously ill and require hospitalization." Symptoms of the flu, a contagious illness caused by influenza viruses, are similar to those of the common cold but are often more severe, public health officials said. More information can be found online at www.sccphd.org/flu.